Recently hackers released WannaCry extortion software to get the city full of virus, although the virus only Windows system will be in the move, but you are not the owner of the phone to be taken lightly. As anti-virus software companies have found Android-related malware is increasing at an alarming rate, it is expected that the total number of malware will increase to 3.5 million by the end of this year, so it’s important to keep in mind before downloading and installing the app. 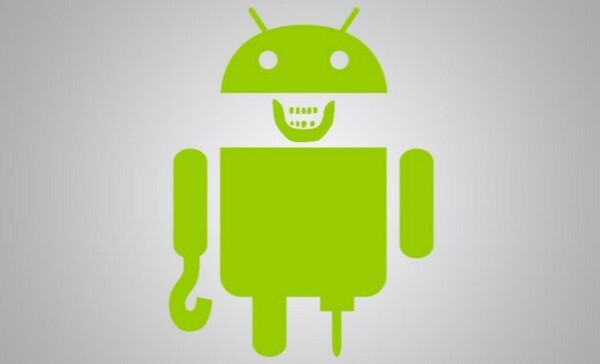 In view of the Android system openness and high penetration rate, so there are more malicious software is not surprising, but in recent years the situation has become more and more serious. According to anti-virus software company G Data researchers found that the first quarter of this year there have been more than 750,000 malware, and the current growth rate, is expected to go to the end of 2017 will increase to 3.5 million, more than last year More than 3.24 million more. 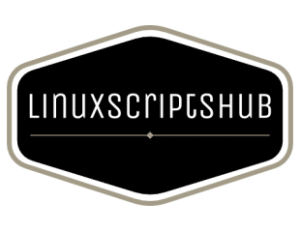 The report also warns third-party vendors to be more likely to be infected because their system updates are often slower and slower. 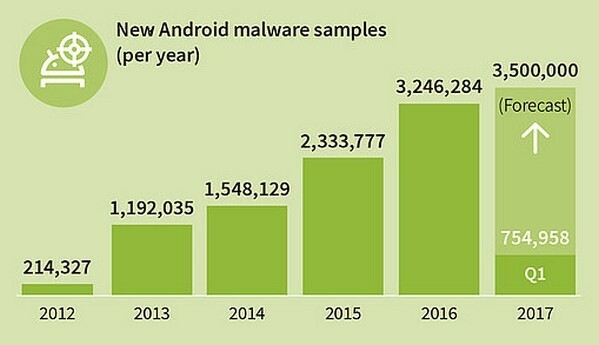 Since Android has become the most popular mobile phone system on the market, malware has increased from 210,000 in 2012 to 2.33 million and 3.24 million last year, and the situation is quite serious. In addition, G Data also pointed out that Android Lollipop and Marshmallow system, the most significant number of malware, the two together accounted for about two-thirds of the overall. As for the precautionary approach, you should try to download various apps on Google Play as much as possible, and update your Android system to the latest version on a regular basis.